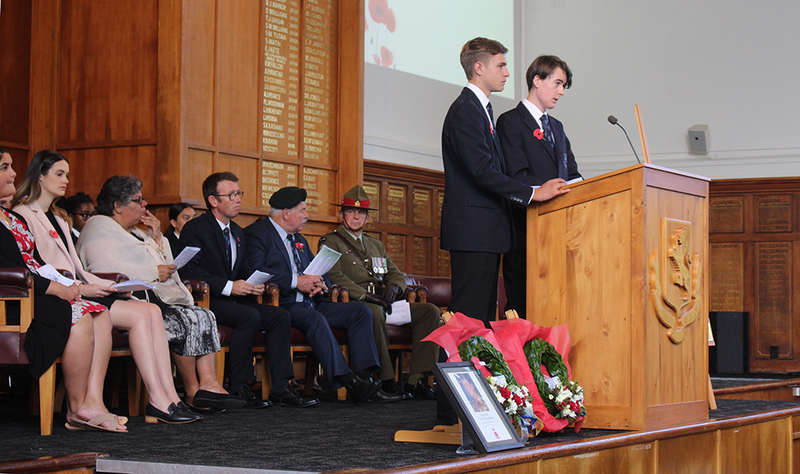 Year 13 History students Daniel Fraser and Hugo Young (pictured above) provided different but equally moving takes on the meaning of Anzac Day in their speeches at Mount Albert Grammar School’s Anzac Service yesterday. 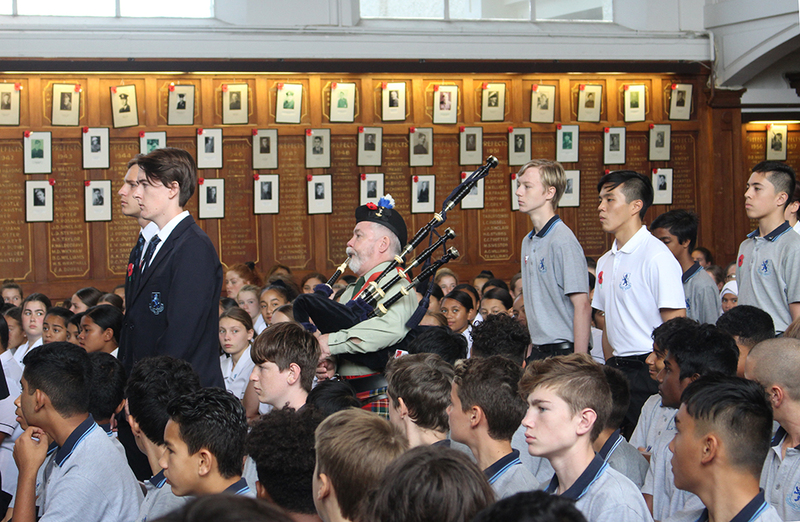 Daniel spoke about the fallen Albertians and the assemblies held to remember them but focused on the most recent Albertian to make the ultimate sacrifice: Lance Corporal Rory Malone, who died in Afghanistan in 2012. 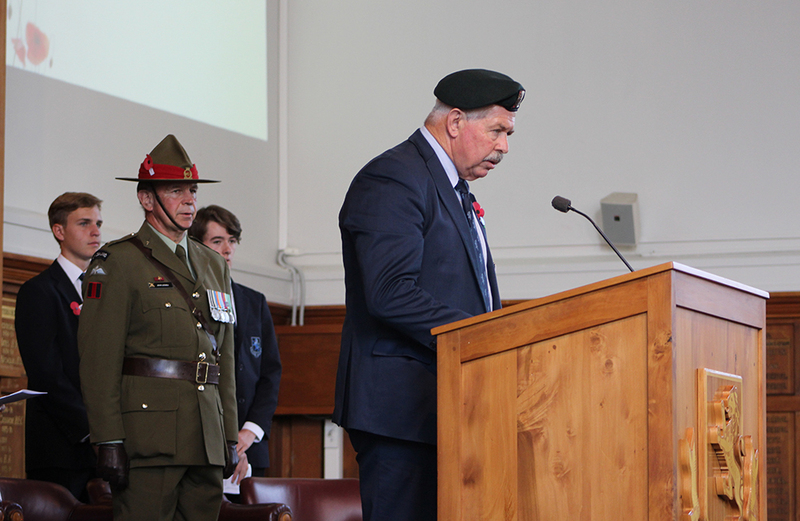 In his speech, Daniel outlined something of Rory Malone’s life and his bravery in a firefight with rebels in which he was fatally wounded. 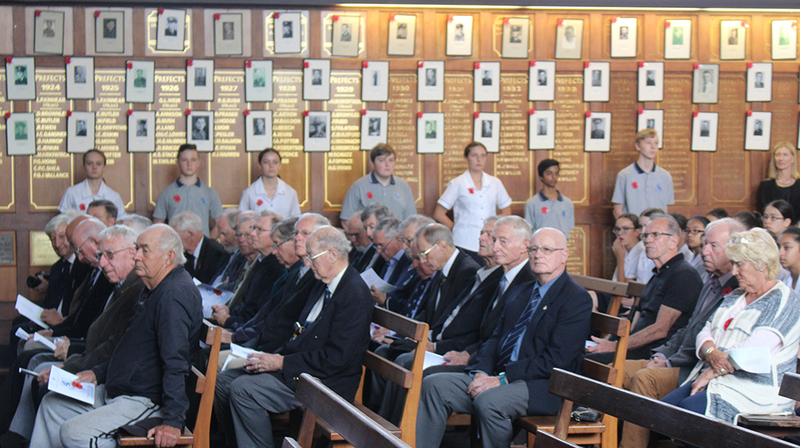 Hugo also spoke about the assemblies during World War II, when Headmaster F.W. 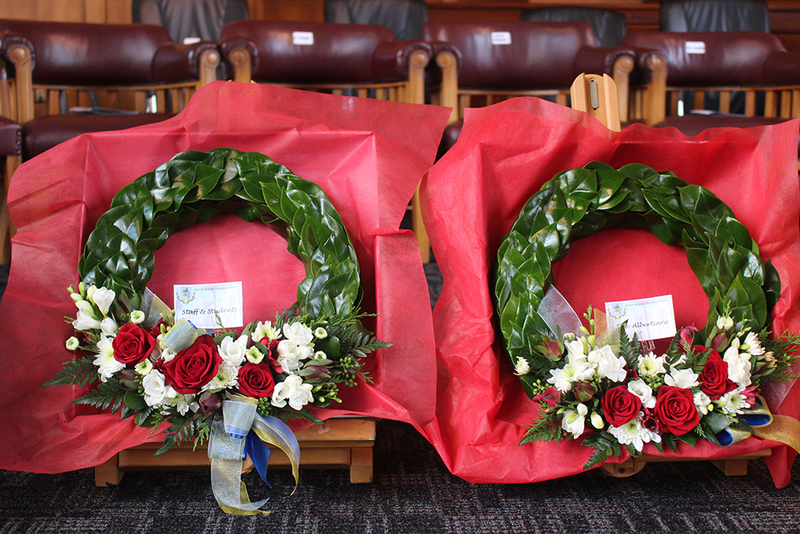 Gamble would read out the names of Albertians killed, wounded or missing in action. 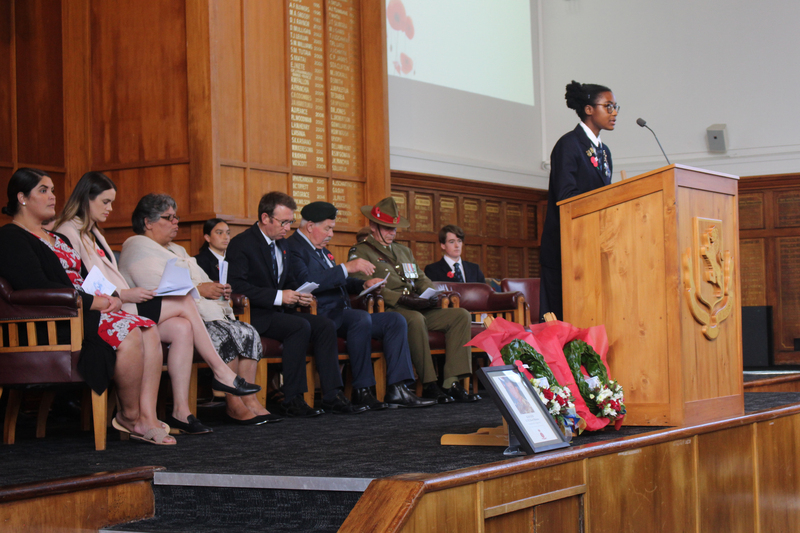 In his speech, Hugo focused on the Maadi Roll, which has been framed and was placed in front of the audience. 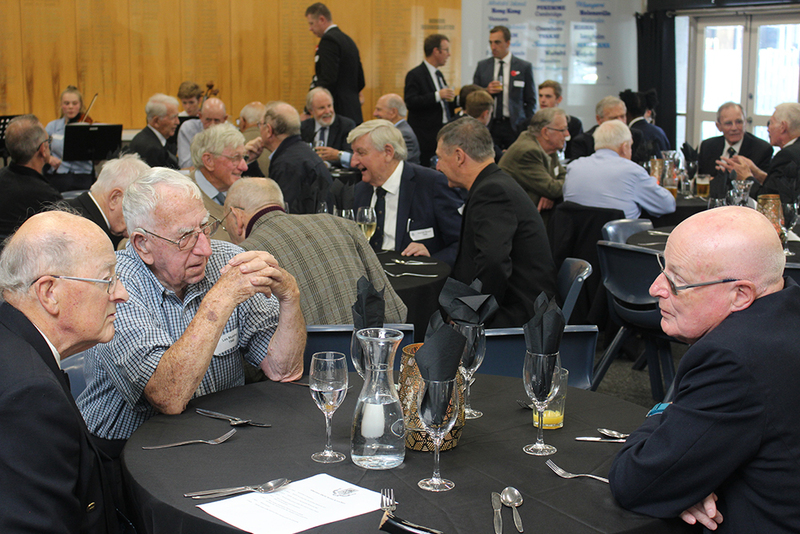 It originated when a group of more than 100 Albertians attended a reunion dinner held in 1943 in the El Maadi Casino, Egypt after the African campaign. 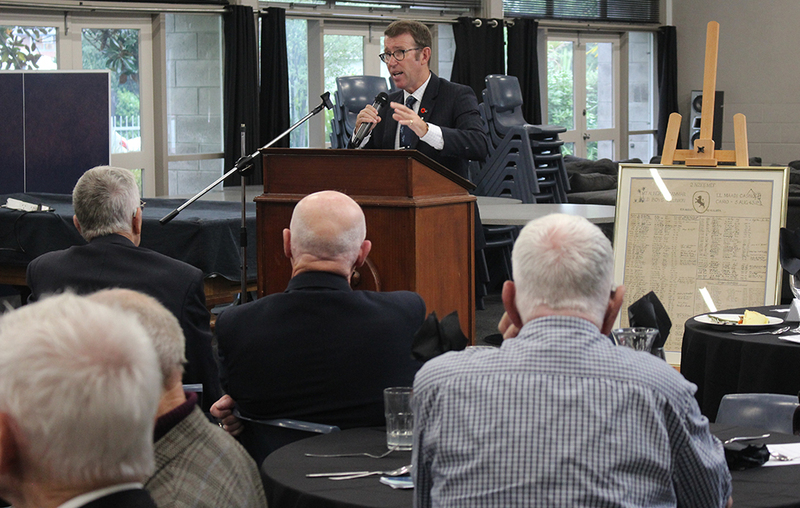 Each attendee signed the roll, which was sent back to MAGS. 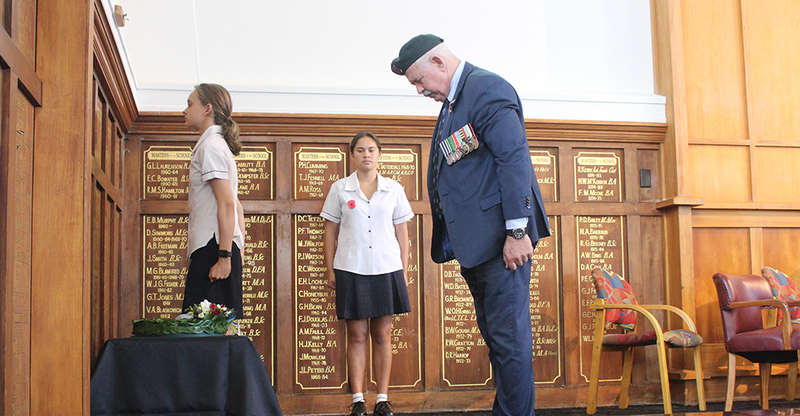 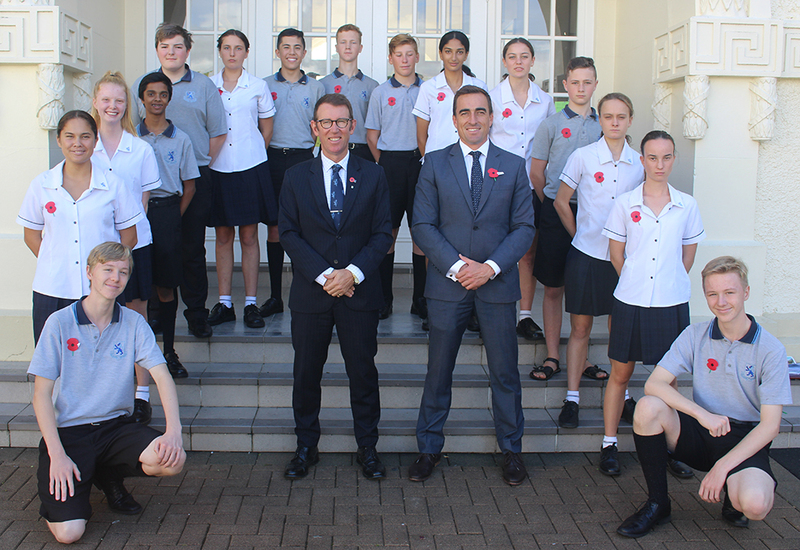 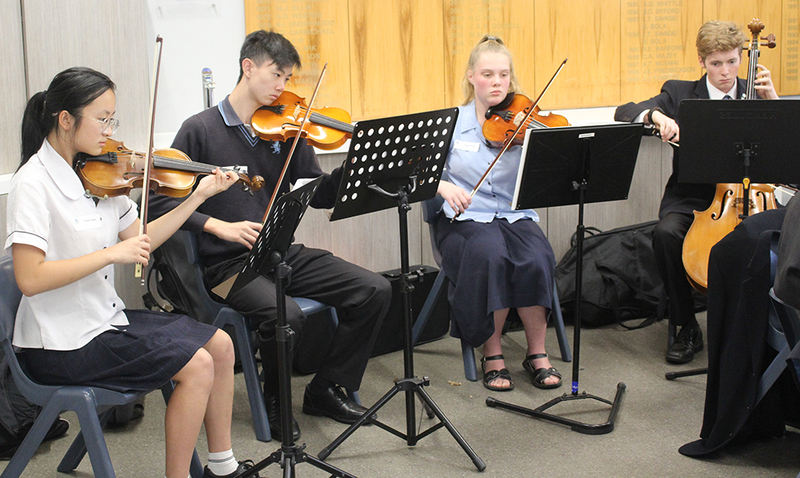 This year’s service was attended by Year 9 students, Headmaster Mr Patrick Drumm, Chairman of the Board of Trustees Mr Greg Moyle, Major John Liddell, and Albertians Association representative Ms Lisa Oakden. 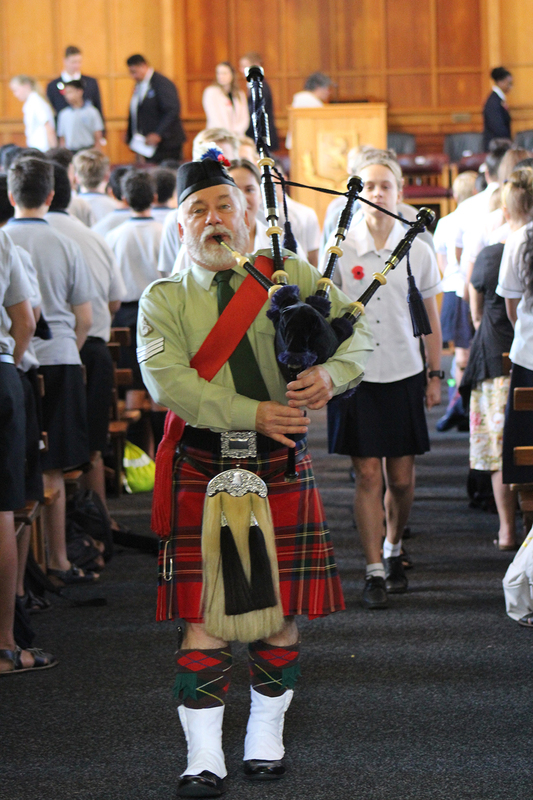 Albertian bagpiper Mr Andrew Wilkie piped dignitaries and Air Training Corps cadets into and from the hall. 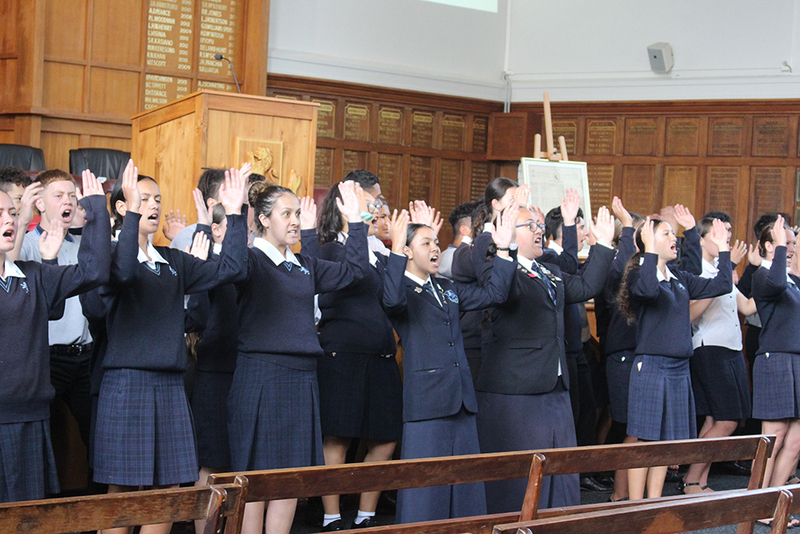 Te Puna o Wairaka performed a welcome haka to dignitaries and sung a waiata, and there was a speech in te reo by student Niua Pomare-Khanna. 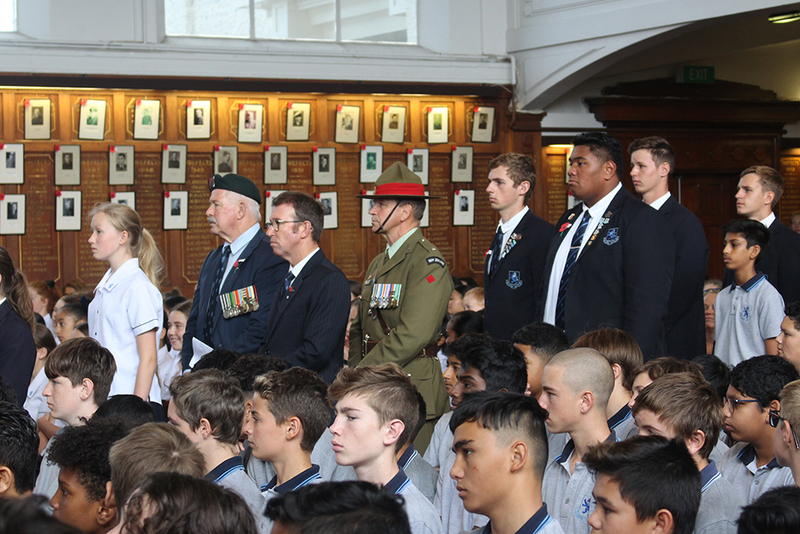 As at every ANZAC Service, the names of fallen Albertians were read aloud, the Ode of Remembrance was read, and a laying of wreaths was performed during the Last Post and Reveille, played by student Oliver Bulman from the mezzanine floor, as the school flag was lowered and raised. 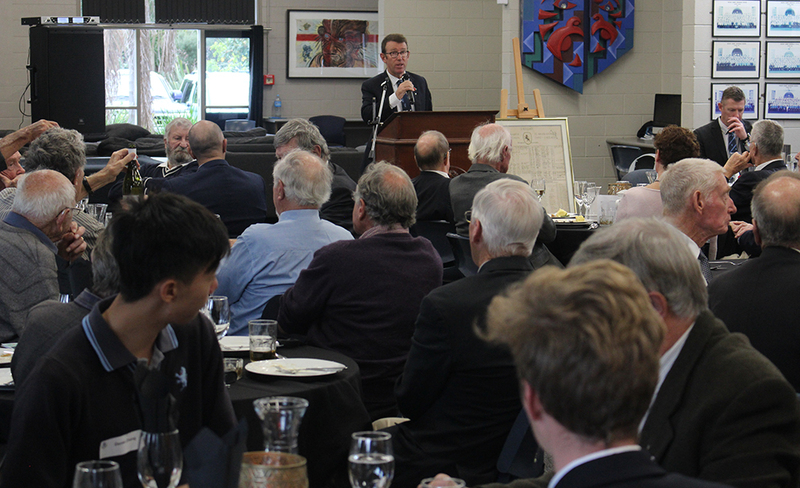 Albertians then attended a lunch at School House, where guests were entertained with music from a string quartet, and acting director Daryl Cartwright introduced himself and welcomed guests. 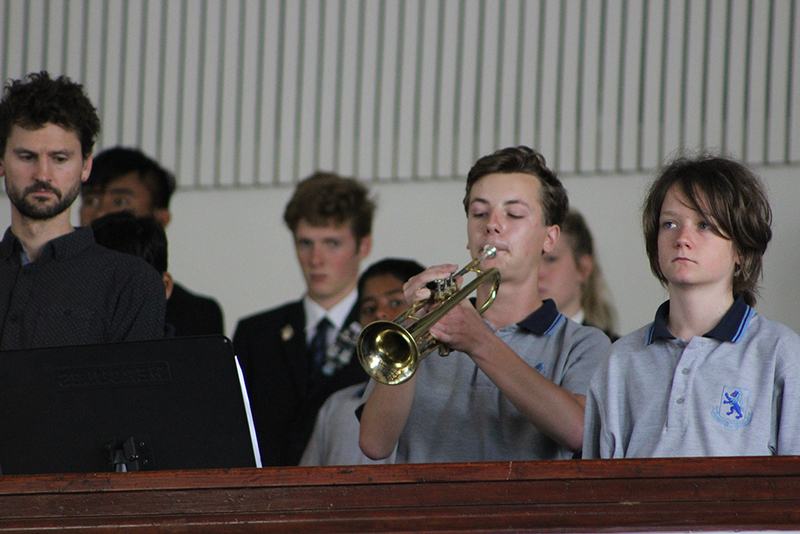 Mr Drumm gave the main speech, beginning with the achievements of students this term but focusing on the threat to MAGS posed by the Tomorrow’s School Review. 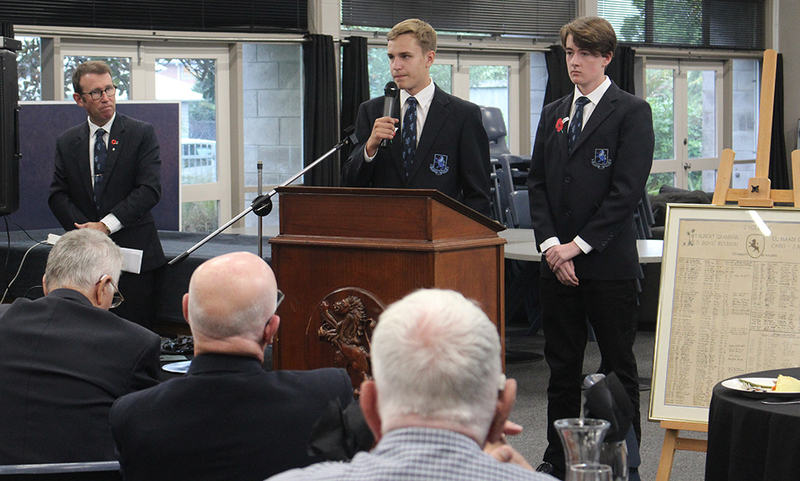 Mr Drumm also thanked Daniel and Hugo and called them up to give some background into their well-researched speeches.